Where nature meets the arts! 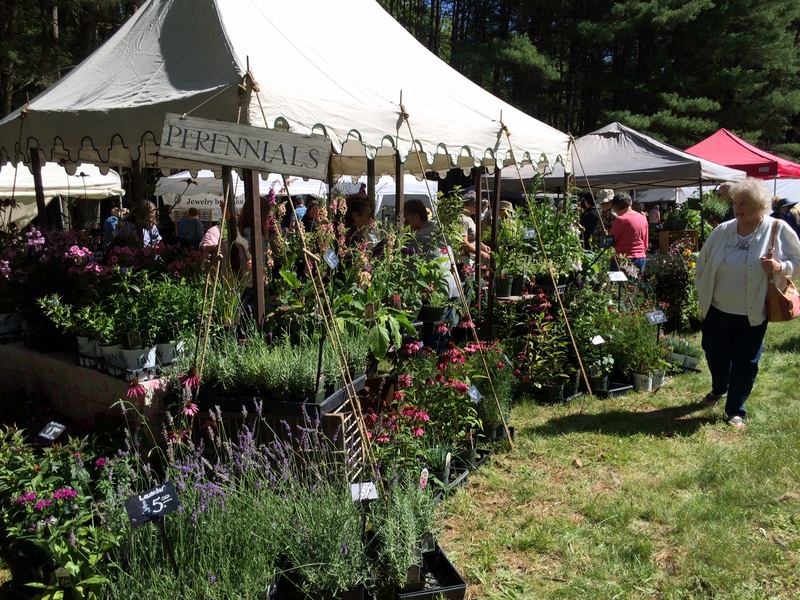 This marks the 35th year for this signature festival that draws hundreds of people looking to start their gardens and get closer to nature. 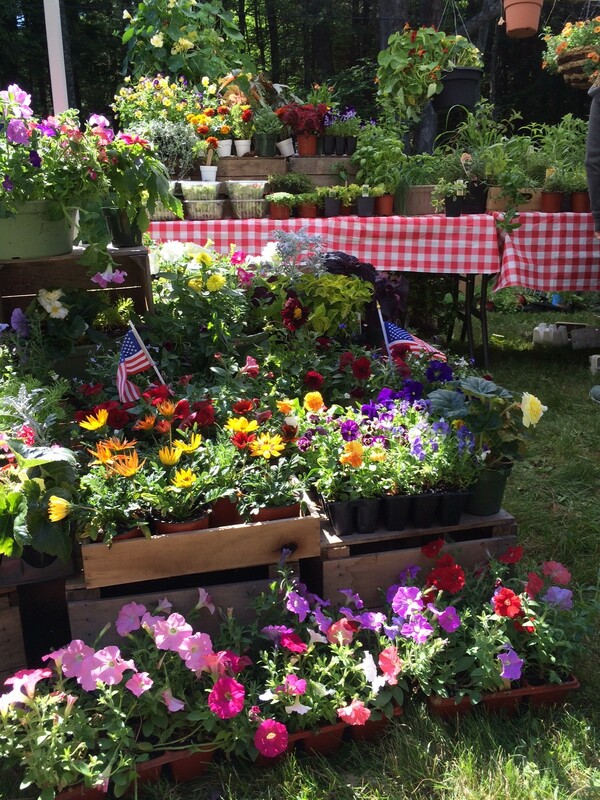 There will be hanging baskets, bedding flats, perennials, annuals, garden artists, and herbs. Admission is free. Join on us Saturday, the 2nd, for our annual "Soup at the Sawmill" luncheon. Starting at 11:30, you receive a handmade pottery soup bowl (which is yours to keep), homemade soup, bread, dessert and a drink for $12. This program is presented by Cook Forest State Park on the Sawmill Center's ground. 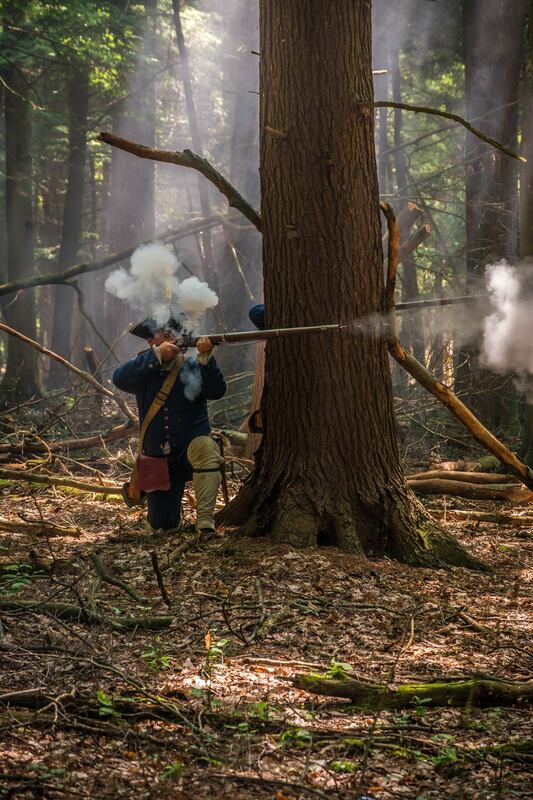 Take a walk back in time with Colonial British, French and American Indian re-enactors as they portray lifestyles and war tactics of the 18th Century. Auction on Saturday (14th) at 4 p.m.
2nd auction on Sunday (15th) at 3:30 p.m. 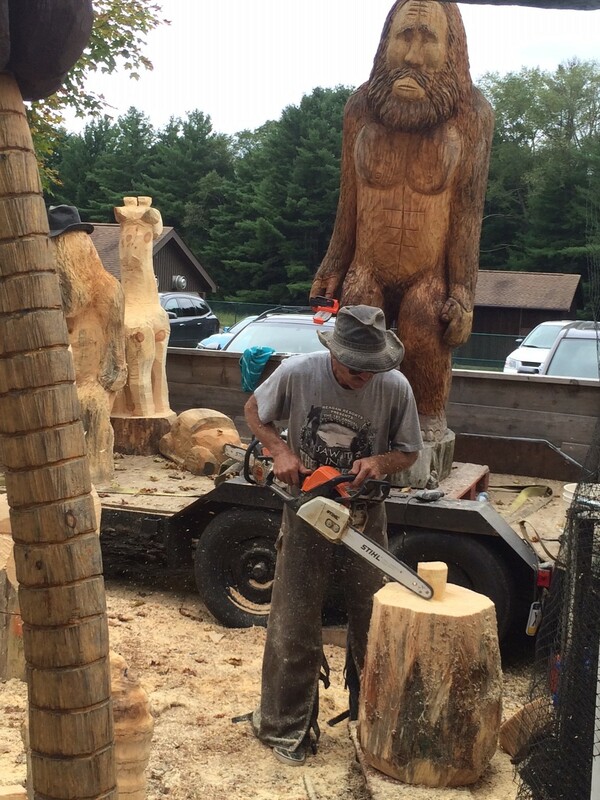 Enjoy watching the carvers in action as they create beautiful works of art from a "simple log." 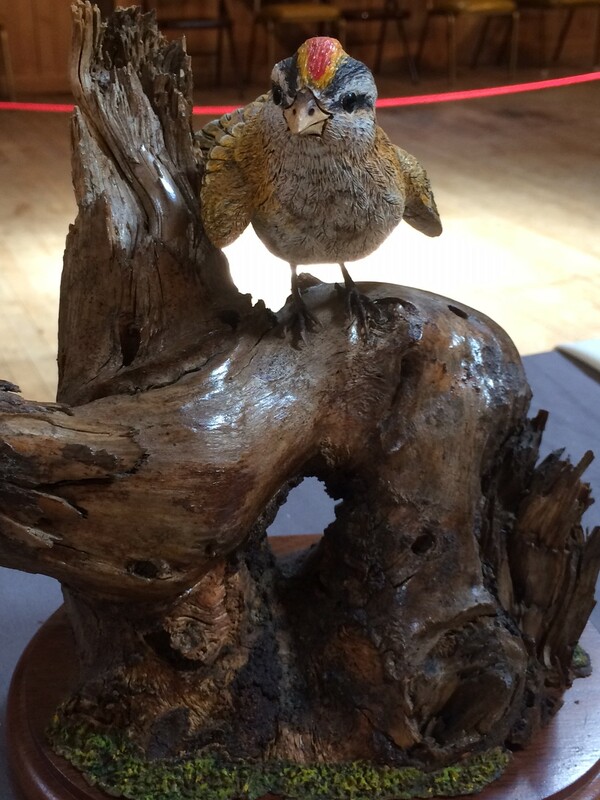 Stay for auctions to bid on and purchase some of these beautiful pieces! Admission is free. 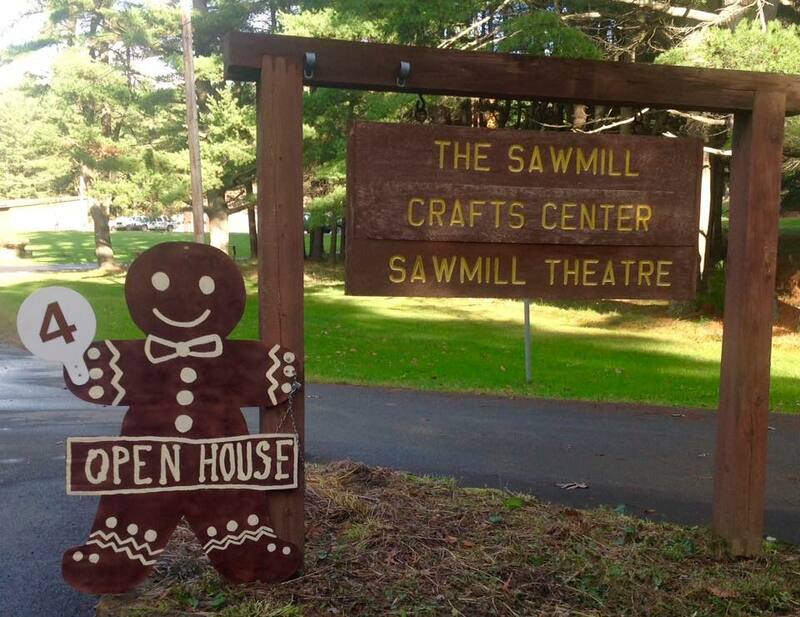 The Sawmill Center for the Arts is proud to be part of the annual Gingerbread Tour from Cook Forest to Historic Brookville! Shop our bountiful craft market where more than 50 local artisans display their hand-crafted items. All their work is juried to ensure the highest quality and craftsmanship. 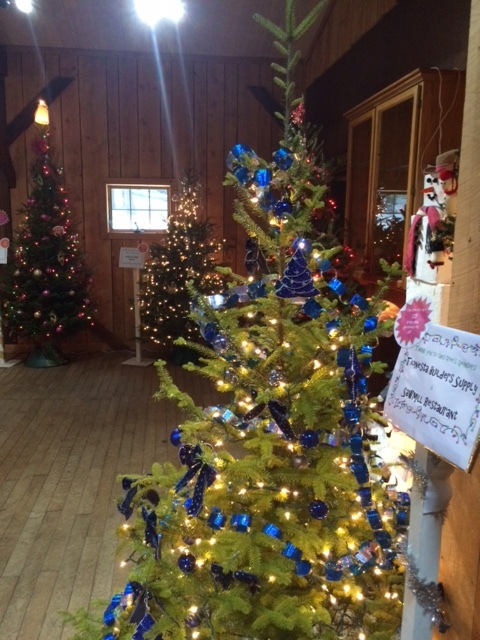 The Festival of Trees will return to its new location in The Forest for a third year! Enjoy live Christmas music and delicious foods, while browsing dozens of craft vendors' tables. And of course, there will be lots of beautifully-decorated Christmas trees! A $2.00 admission charge is collected at the door. Click on the link below to download a registration form or call us at (814) 927-6655.